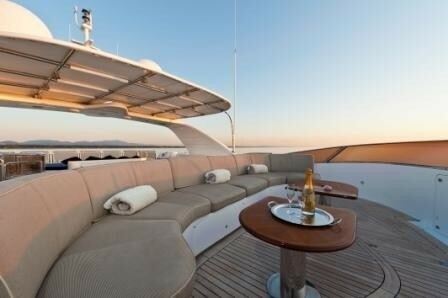 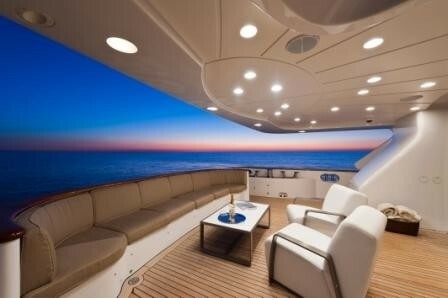 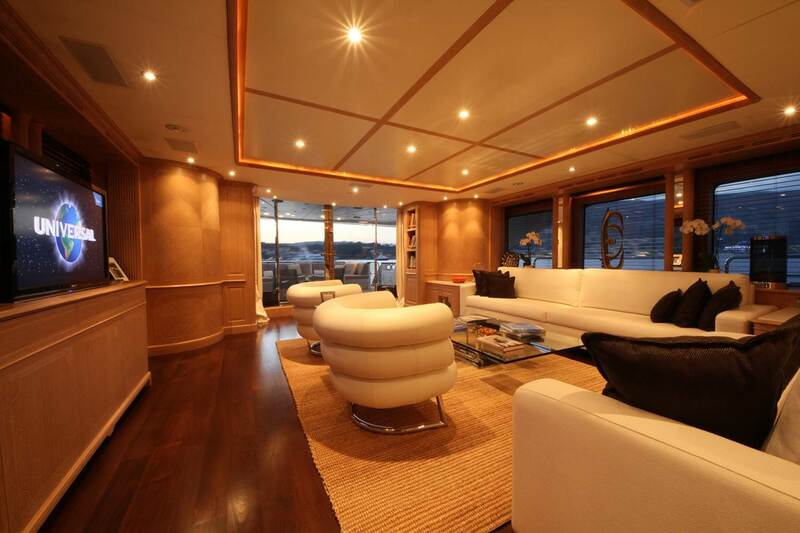 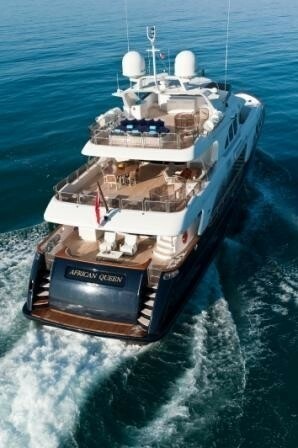 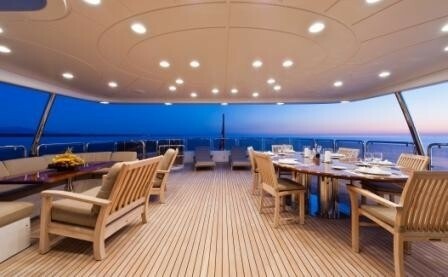 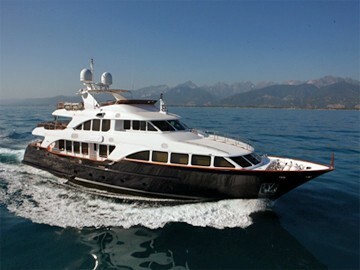 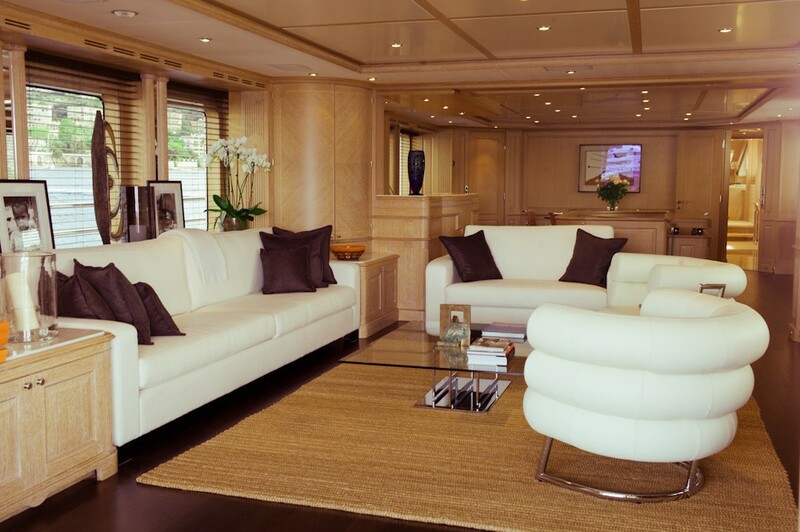 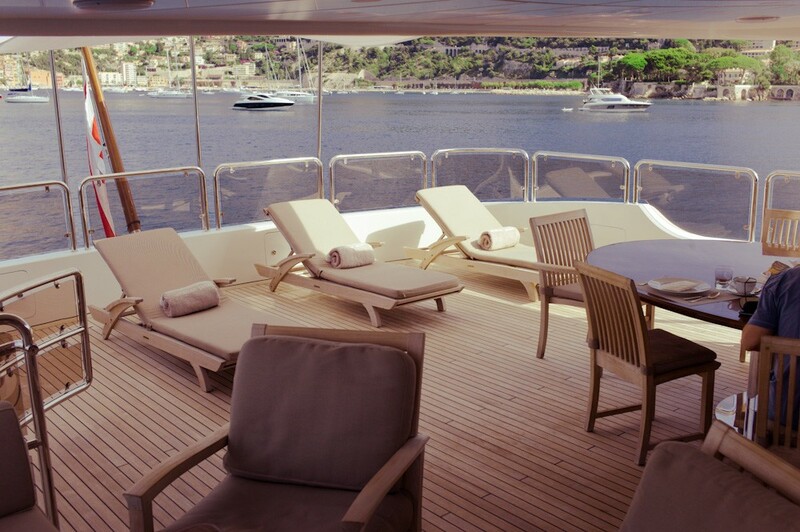 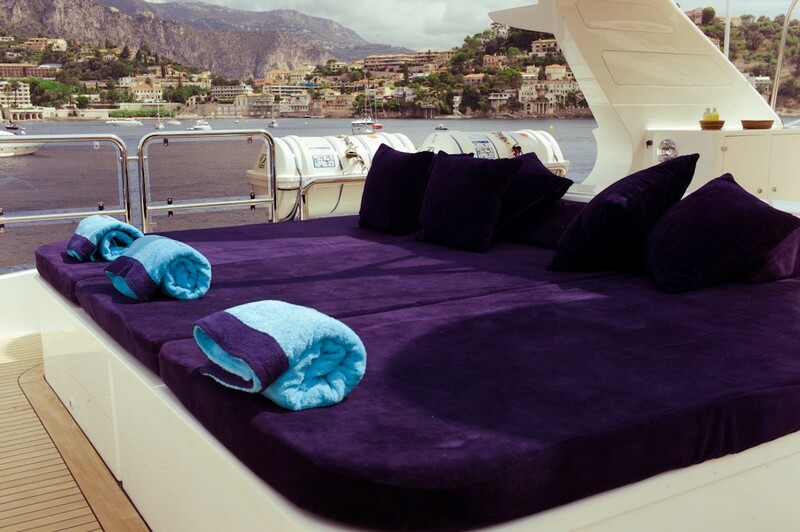 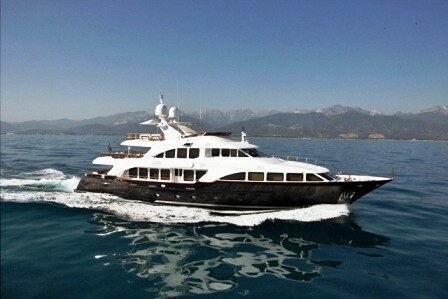 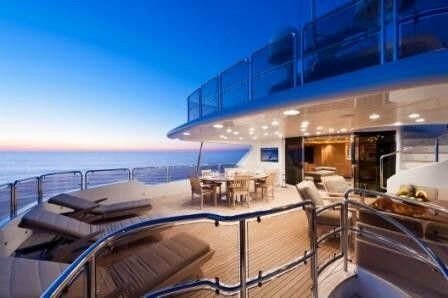 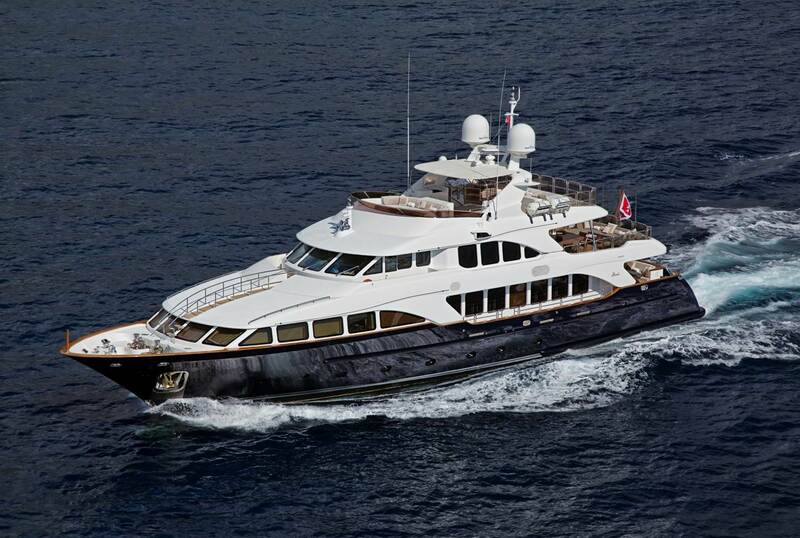 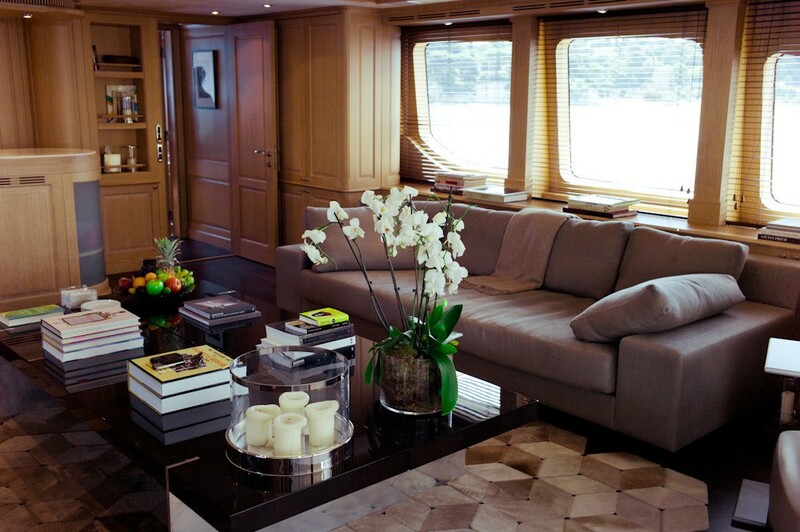 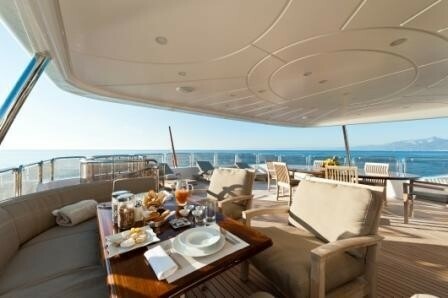 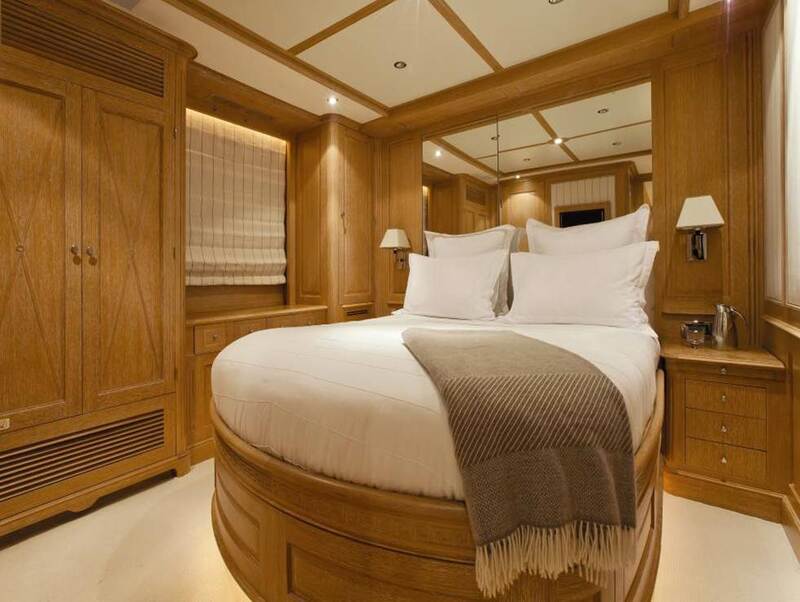 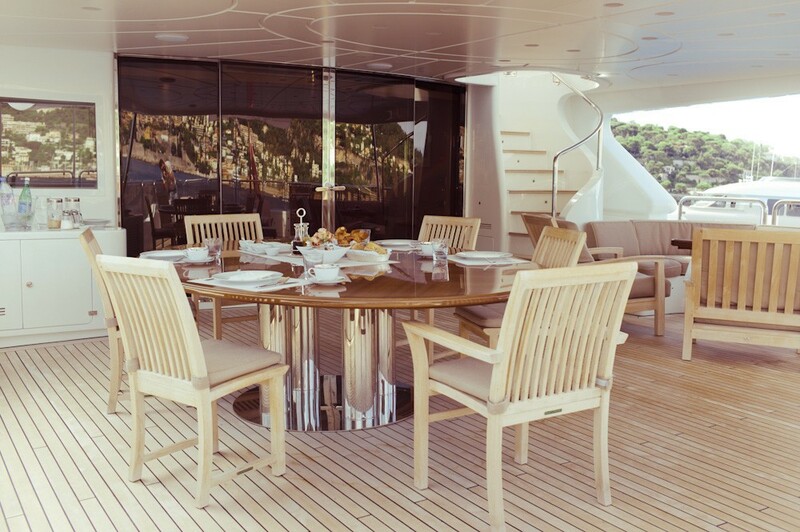 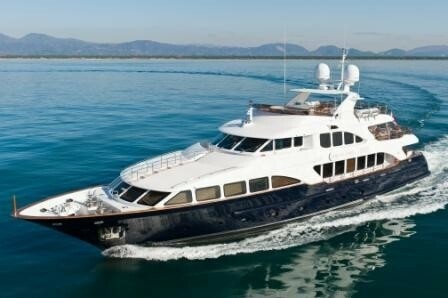 Motor yacht AFRICAN QUEEN has a beautiful main salon with comfortable sofas and the latest entertainment technologies. 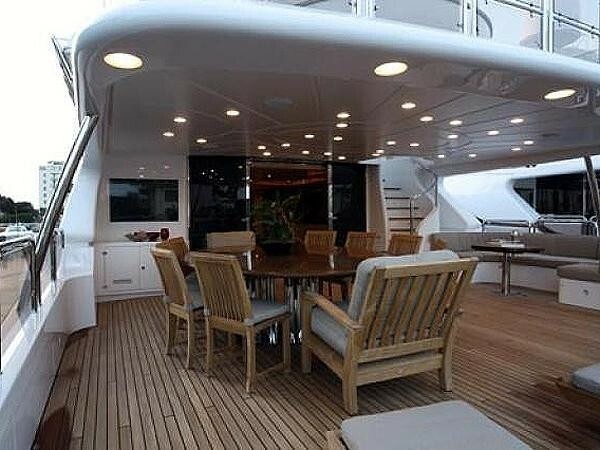 Her adjoining formal dining room can seat 8-10 guests. 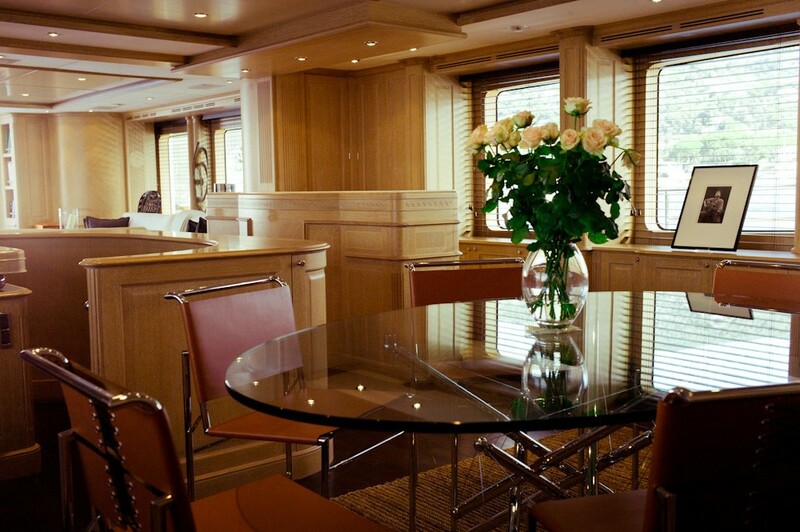 On the upper level, the sky lounge, also with beautiful and elegant decor has a card table, comfortable couch and two occasional chairs along with a coffee table and a bar area. 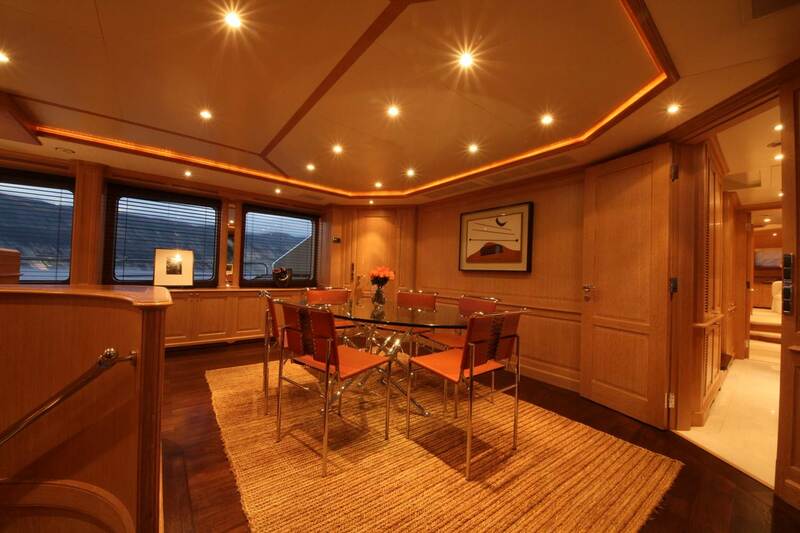 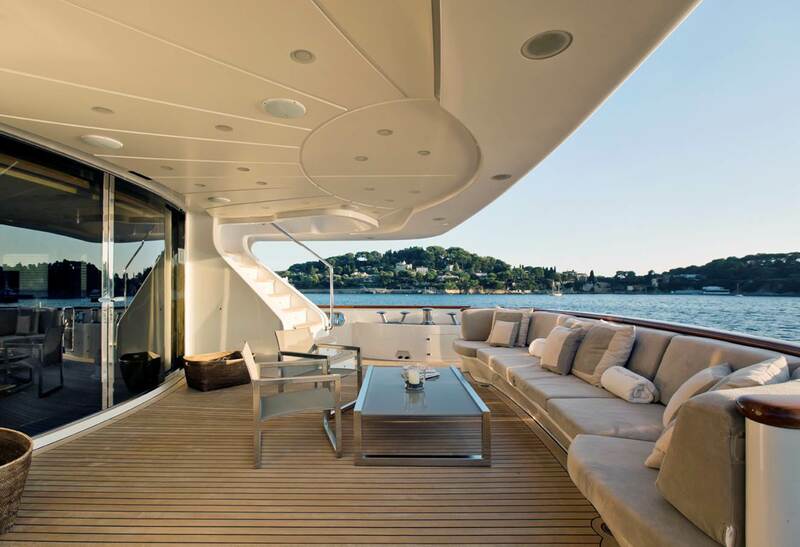 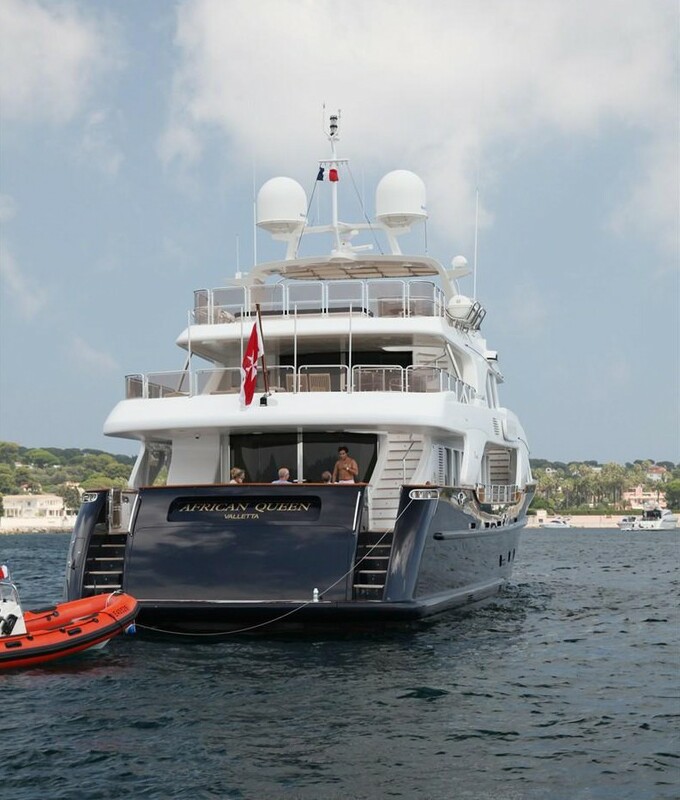 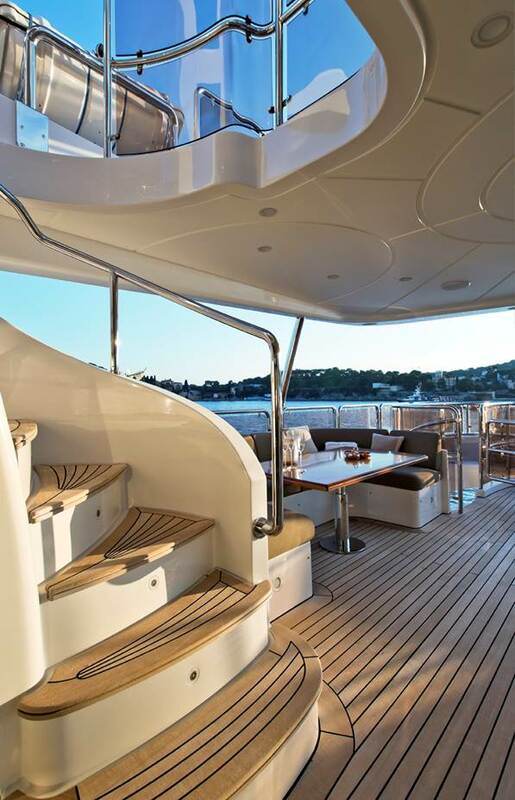 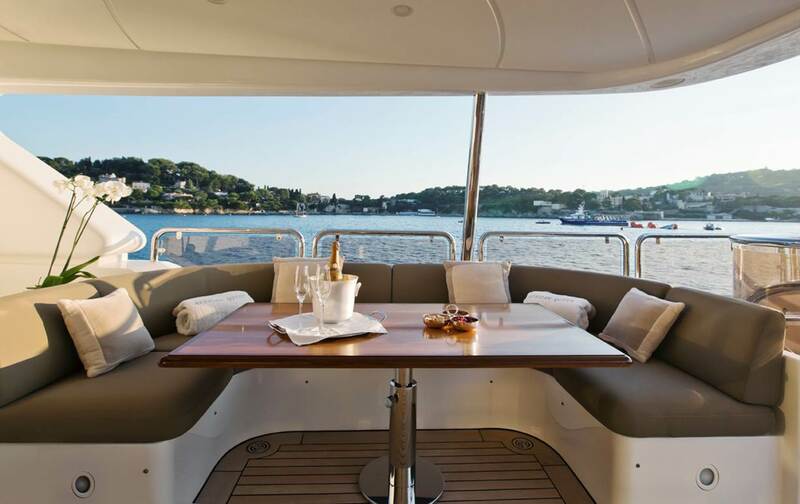 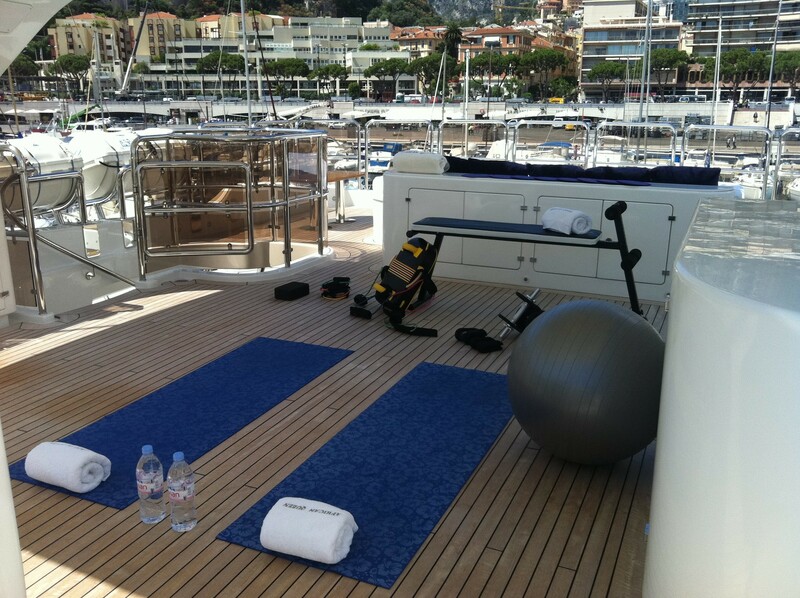 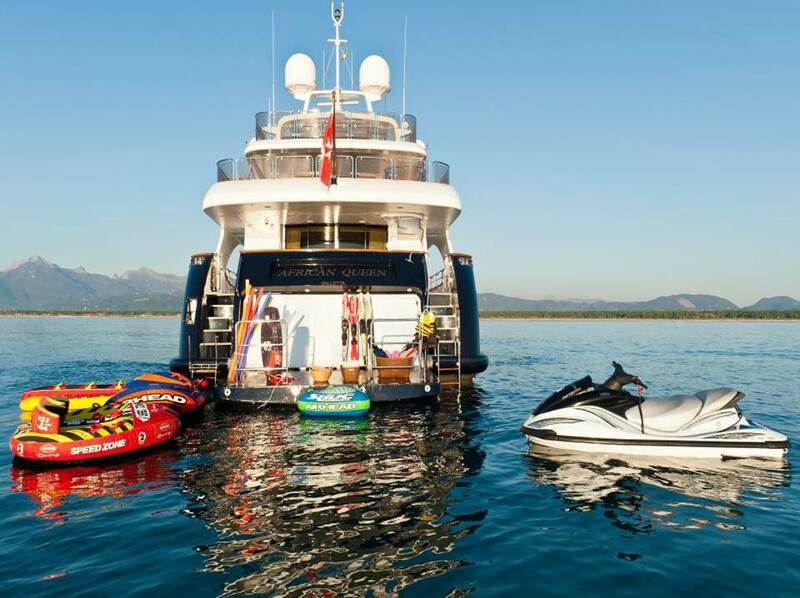 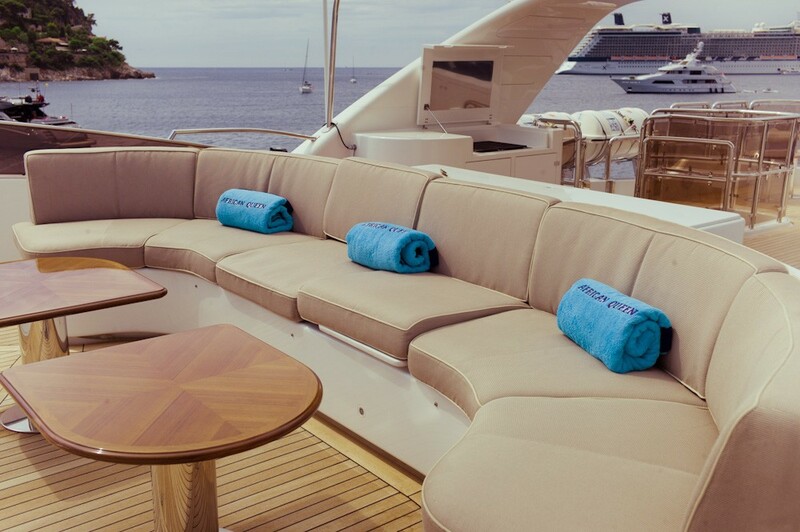 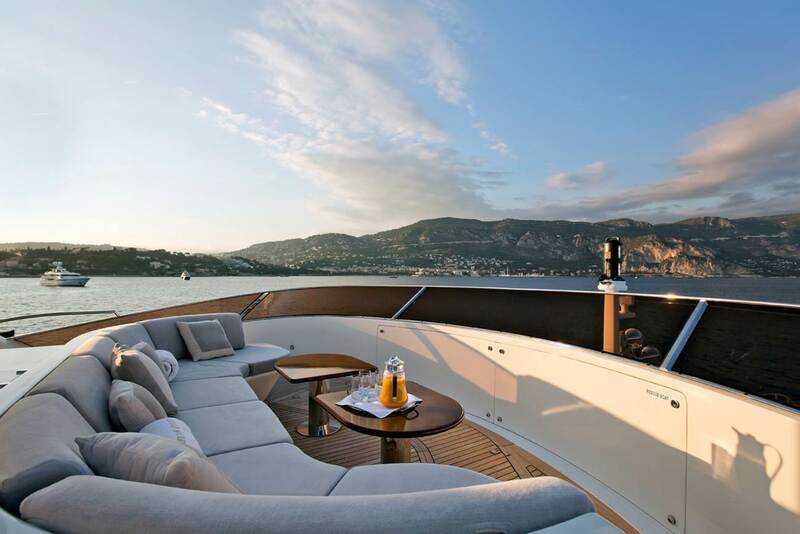 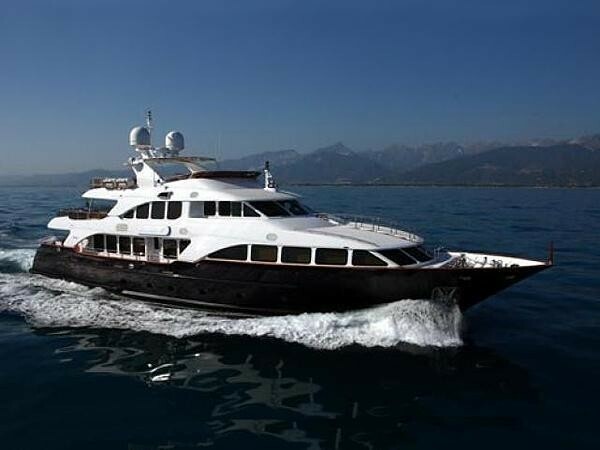 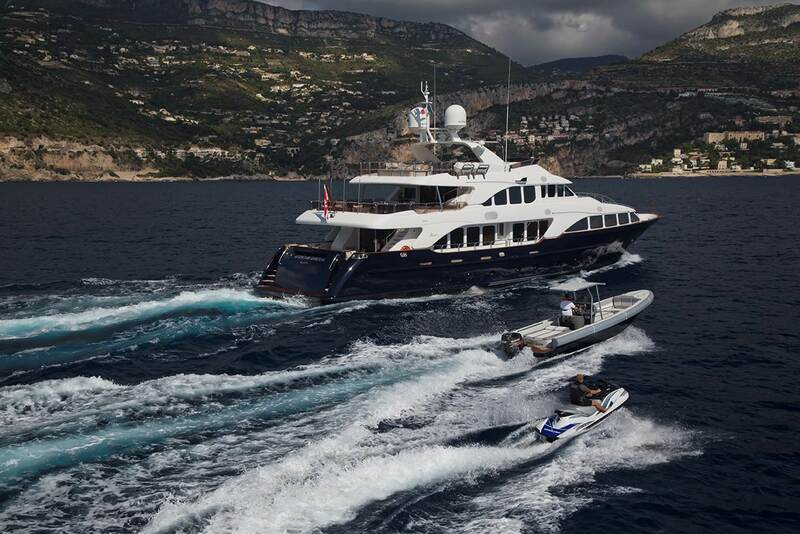 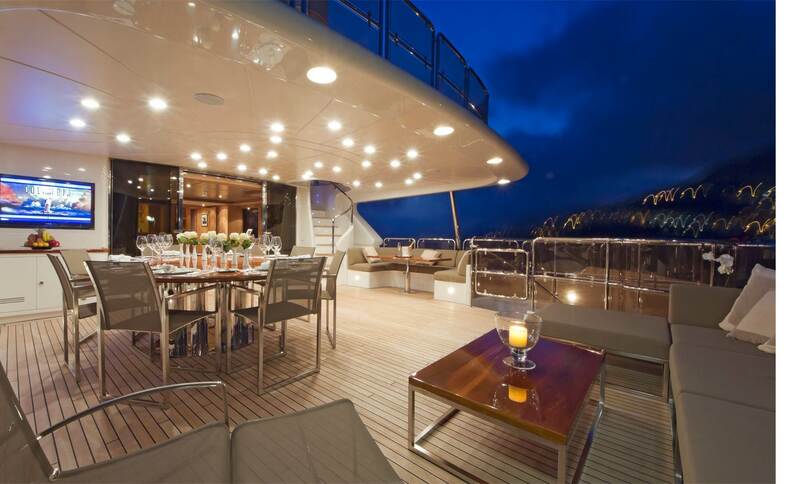 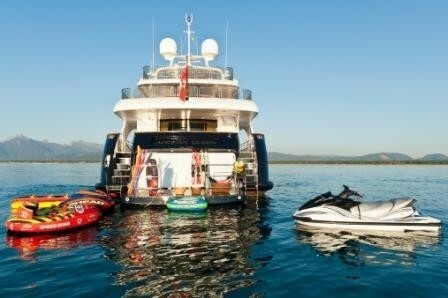 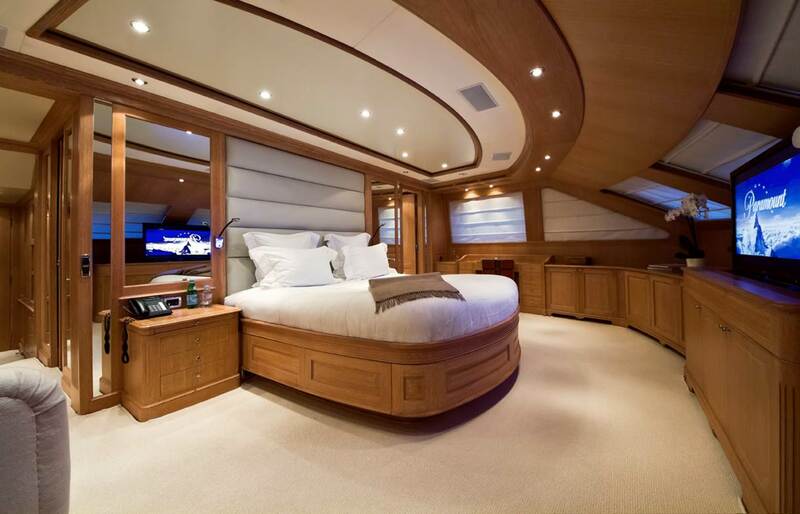 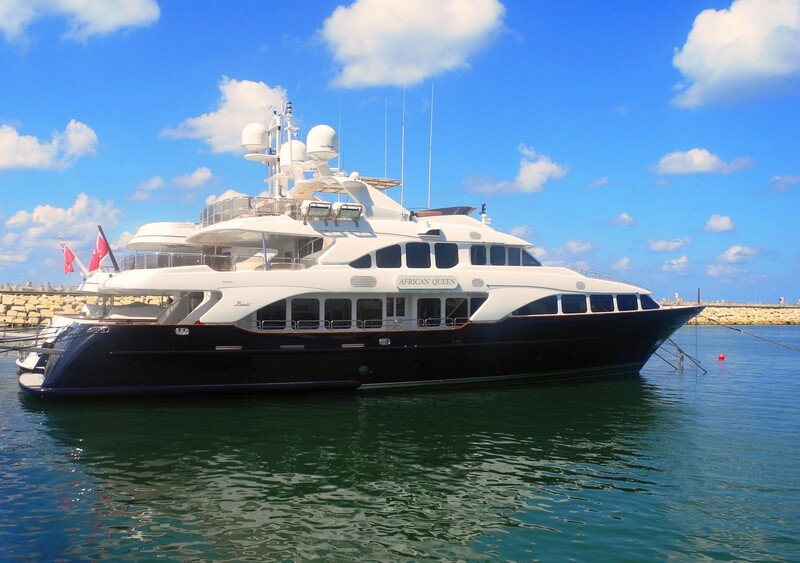 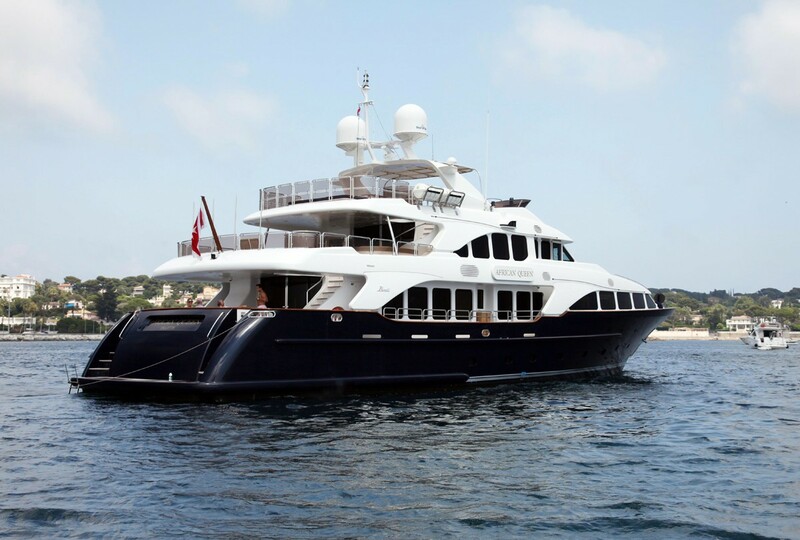 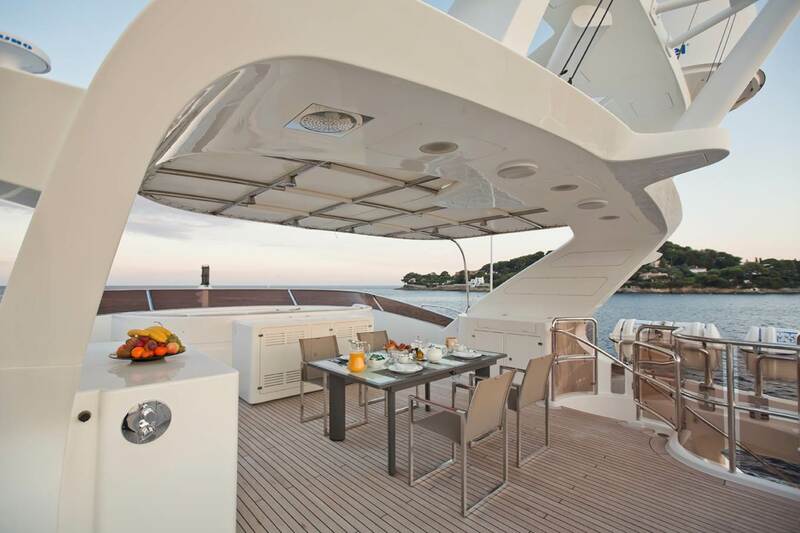 She is fitted throughout with the best of audio and video equipment, with 42´´ LCD-TV´s in the saloon and dining room, master suite and skylounge. 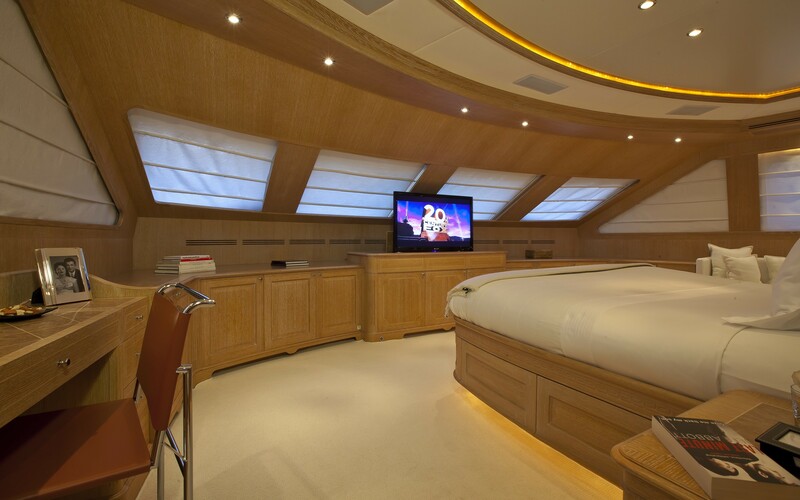 The guest staterooms offer 19´´ LCD-TV´s. 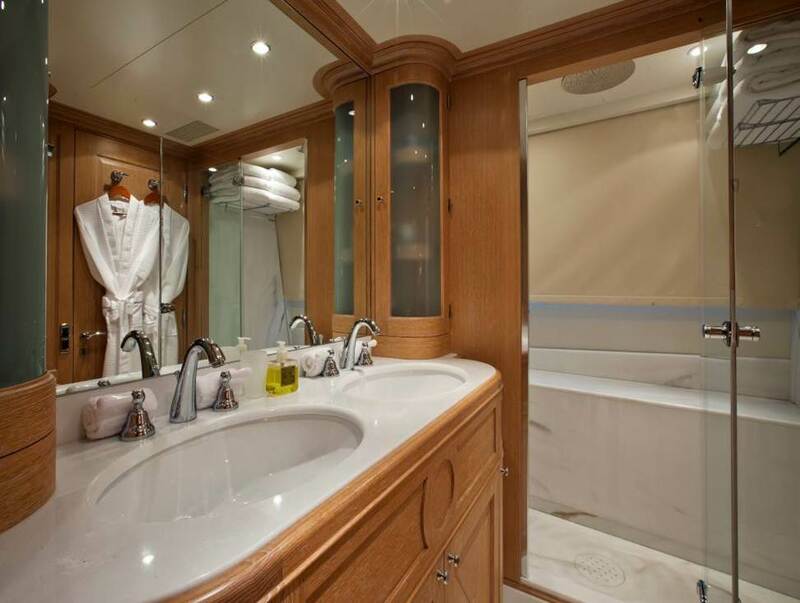 Benetti Classic 120 luxury yacht African Queen features 5 luxurious and comfortable staterooms for 11 guests, who are looked after by an 8-member crew. 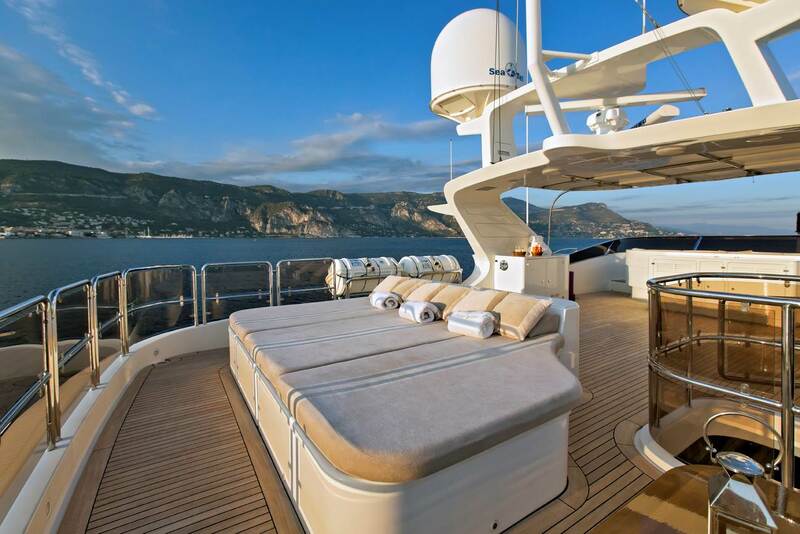 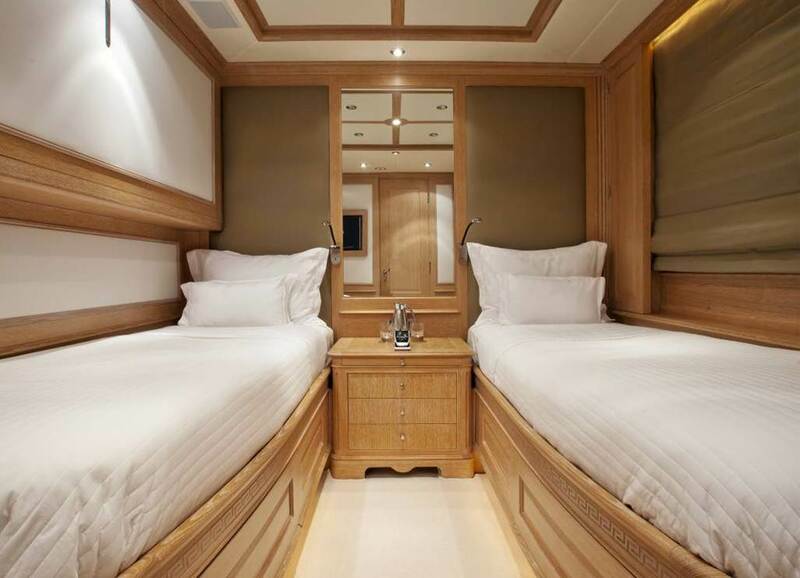 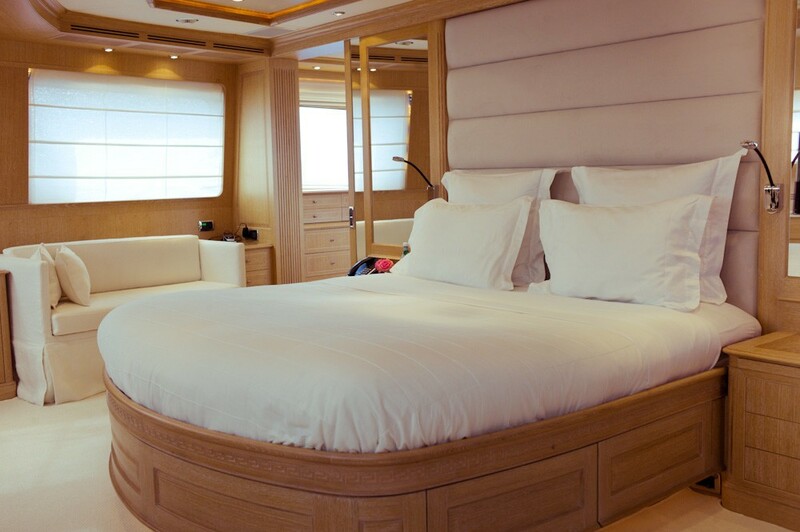 Luxury yacht AFRICAN QUEEN’s Master stateroom which is located on the main deck has wrap around windows and a king size bed. 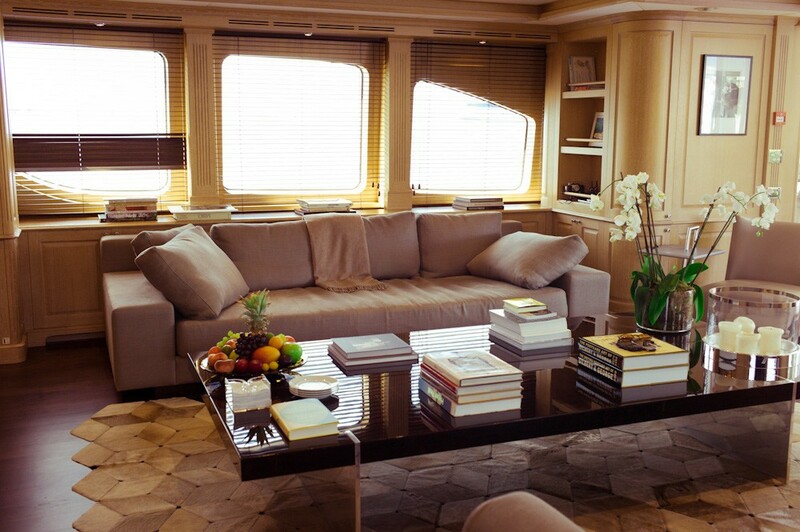 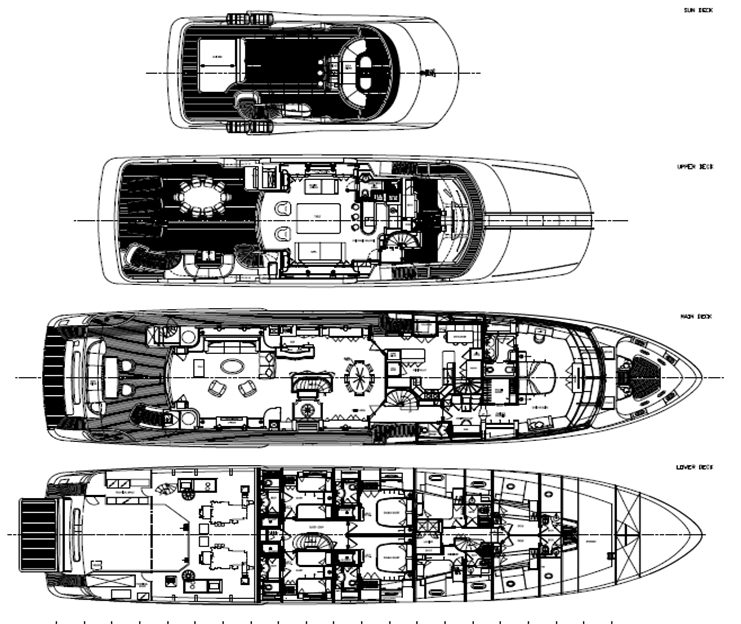 She has Two VIP staterooms and two twin staterooms as well as one pullman berth on the lower deck. 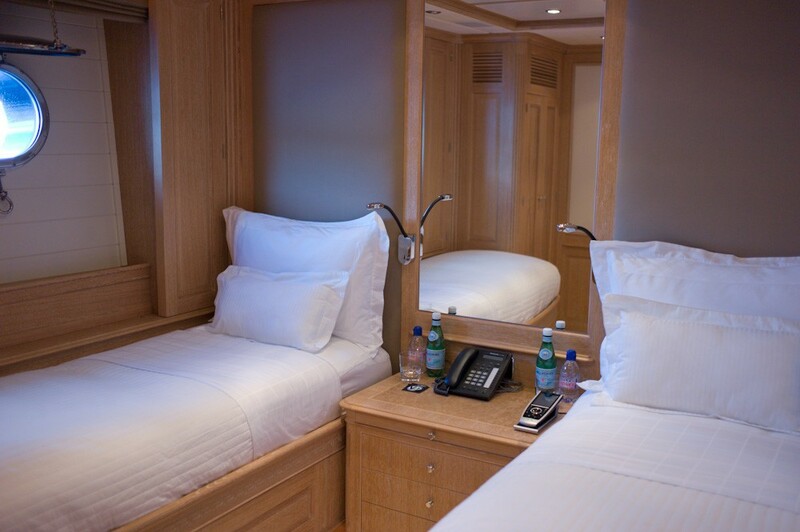 All cabins have their own private en-suite and televisions. 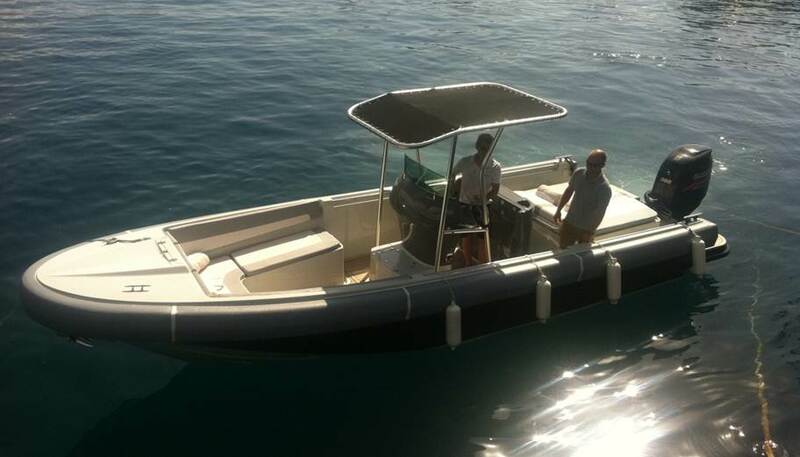 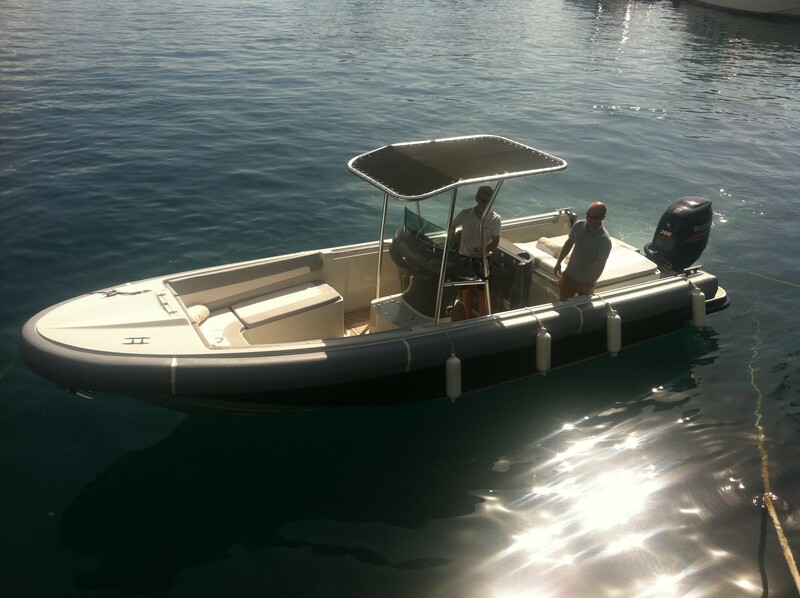 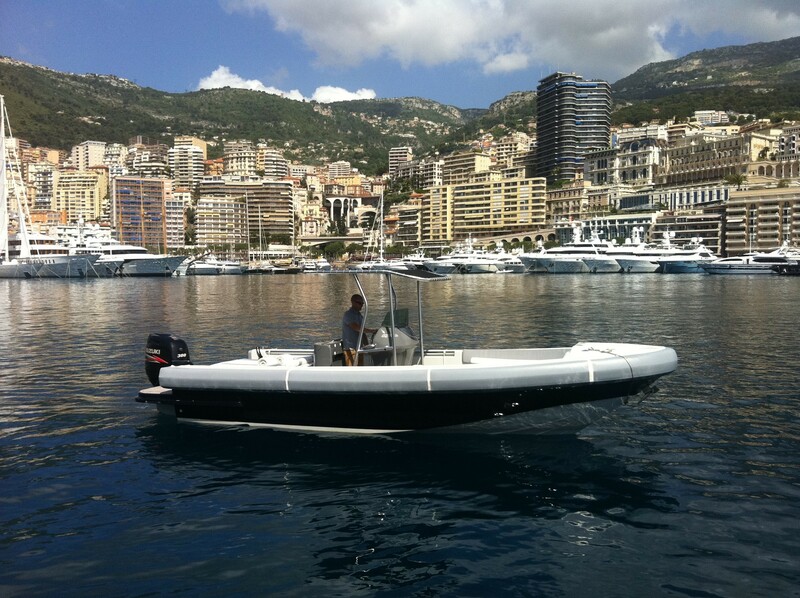 A wide range of yacht tenders and water toys can be found on board of this beautiful yacht, such as a 4.2m tender with 50HP outboard engine Wave Rider Yamaha 140 - 3 seater Waterski, wakeboard, towing rings. 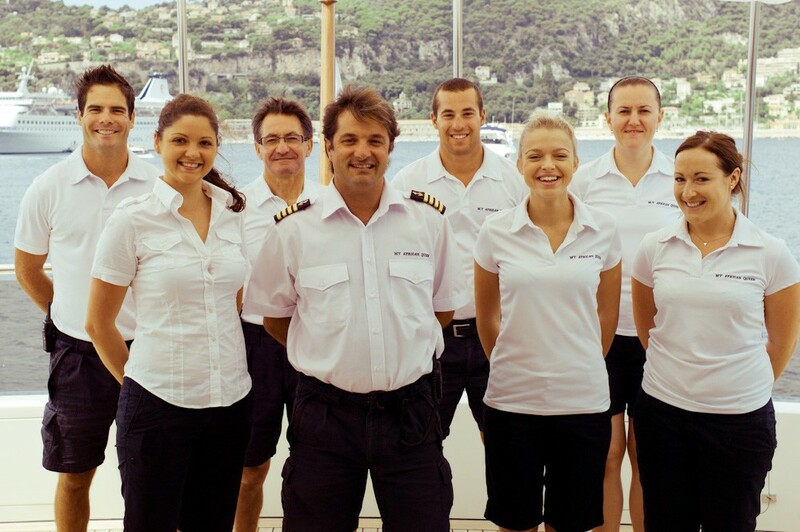 RYA training center for PWC. 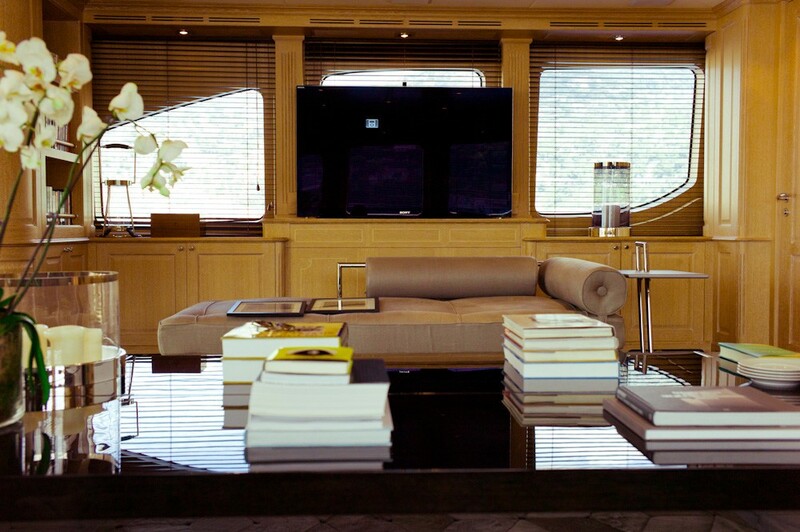 Communications include Satellite phone, Internet router. 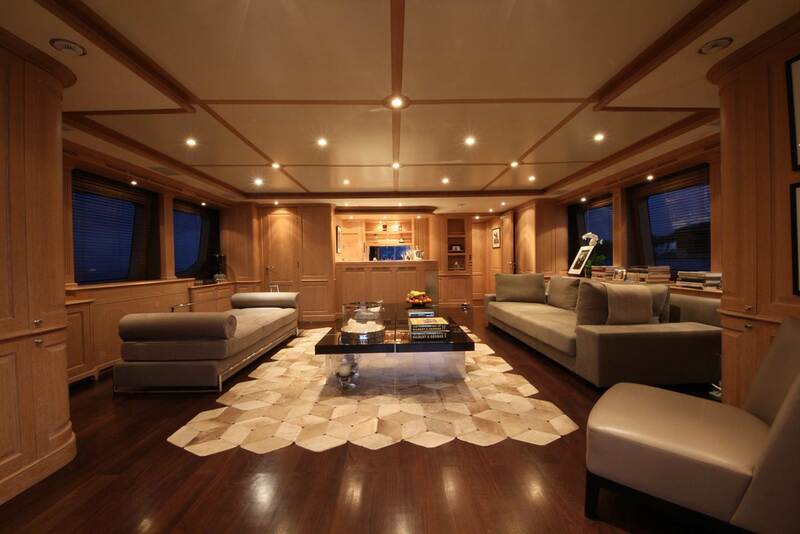 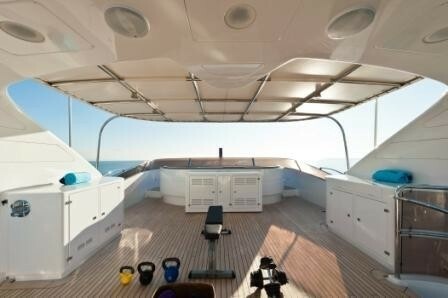 Audio Visual Equipment and Deck Facilities include Philips Audio System, Kaleidoscope, SKY TV, Ipod docking station.